Finding that perfect font for a digital project can be challenging on its own, so why make it more complicated by constantly scouring the numerous online resources for inspiration and that one ideal style? That's not the way it has to be for users of Adobe's Photoshop thanks to Fontea. 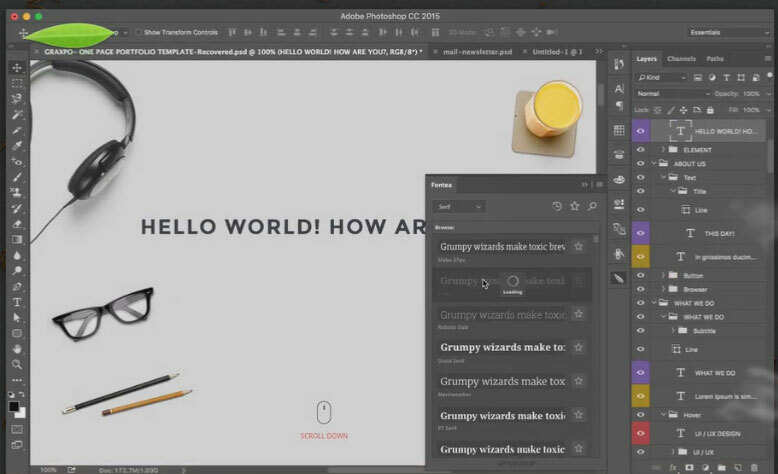 The Photoshop plugin gives designers access to more than 700 Google fonts directly from within the Photoshop interface. Designers can search and explore to find the right look for headlines and body copy, and preview and compare fonts, keeping those they like the most in a custom collection. The Fontea plugin is free and available for OSX and Windows for Photoshop CC 2015+.